The Tourism Authority of Thailand (TAT) has extended its diverse marketing campaign for 2018 by launching a competition for those who have visited the Kingdom before. People who wish to take part in the competition can submit their best trip-in-Thailand videos for the chance of winning a special prize. The ‘Thailand Footage Trading Project’ will run until 16th March. Anyone who has ever visited Thailand is encouraged to submit the best video from his or her trip. The range of prizes has been designed to highlight the diverse selection of cultural experiences visitors can make the most of on a trip to the Kingdom. For true foodies, the chance to win a private cooking class with chef Bo from Bo.Lan, a one-Michelin-star restaurant in Bangkok. There’s also the chance to win a limited collection of Indigo-dyed cotton jackets created by Thai designer, Mel Sangsomsap from SSAP. 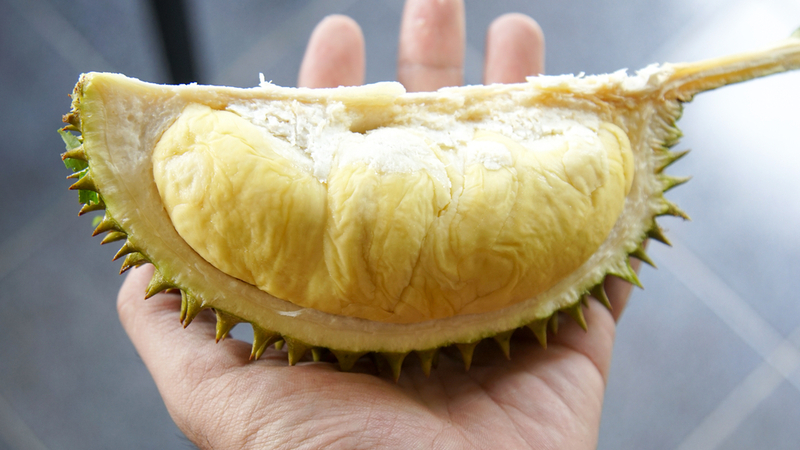 Visitors who enter holiday footage are also in with the chance of winning a prized ‘Kan Yao’ durian – the world’s most expensive variety of the fruit. Footage from the films will be used to help the TAT create a brand new tourism film, based on the local Thai experiences of visitors. Participants keen to show off their favourite holiday moments should upload the footage to Facebook, Instagram or Weibo and post using the hashtags #opentothenewshades or #amazingthailand. The TAT’s recently-launched ‘Open to the New Shades’ marketing campaign is already off to a good start this year, having attracted thousands of visitors to the Thailand Tourism Festival, which was held in January at Bangkok’s Lumpini Park. Held from 17th-21st January, the popular event was attended by 687,783 Thai and foreign visitors, marking an 8.64 percent increase compared to 2017’s event. The festival highlighted key Thai landmarks, cultural heritage and unique products from different regions across the country. The festival also provided visitors with a chance to immerse themselves in unique Thai experiences at the various mini villages that were set up across the site. “Because this festival was also widely covered by the Thai media, we are optimistic that the publicity generated will boost travel to provincial Thailand, in line with our strategy to promote the rural areas, better balance visitor flows and distribute tourism income nationwide,” said Yuthasak Supasorn, governor of the TAT. Visitors spent an estimated THB390.5 million (US$12.3 million) on food and drinks at the festival, in addition to THB154.71 million (US$4.8 million) on handicrafts and other products. The festival was home to 860 booths in total, and the top ten favoured destinations were: Chiang Mai, Chiang Rai, Phuket, Surat Thani, Nan, Krabi, Kanchanaburi, Mae Hong Son, Trang and Satun.